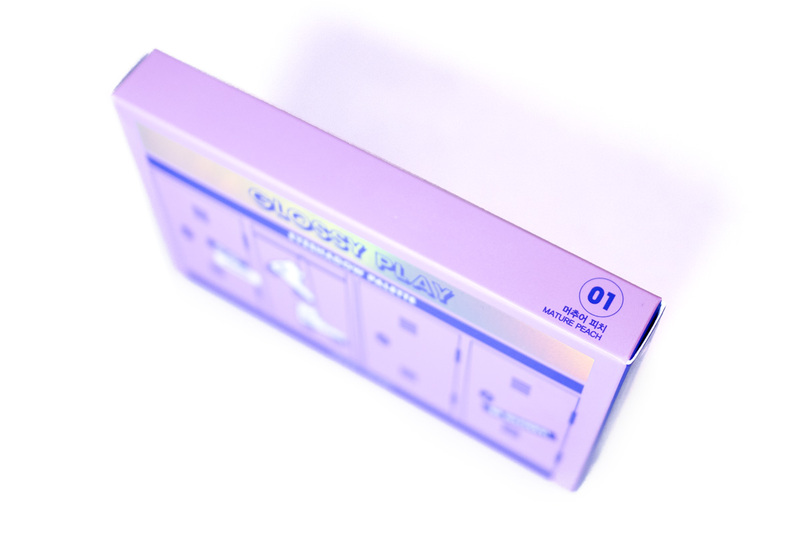 Review: Glossy Play Palette (Holika Holika) – Oh My Stellar! One of the favourite colour schemes of 2017 – and with that trend still continuing this year, especially in kbeauty – is peach! Although this trend is slowly fading out, it is such a easy to wear and flattering colour scheme that I think it’ll stick around through it all. It’s a very pretty and youthful twist on a neutral eyeshadow look, which is why you will find a lot of peach tones in Korean beauty trends. So, since I don’t try out a lot of Asian eyeshadows, I thought that I would try out this new, limited edition palette from Holika Holika. This is the Glossy Play palette which is part of their Spring/Summer collection, the entire range which includes lip tints, lip sticks, eye liners, highlighters and blushes and even single eyeshadows. I love the packaging of these so much but, personally, I haven’t used much from the brand. It isn’t because I don’t like Holika Holika, but rather that I’ve had bad experiences with their retail stores in Korea and so I never go into them anymore. 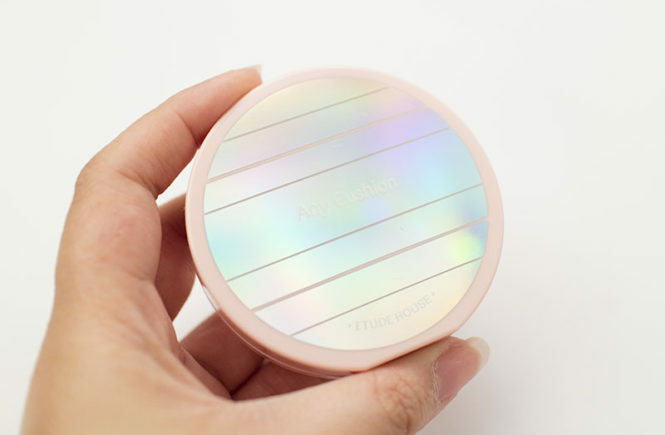 The holographic and bright packaging definitely caught my eye first, but – colour wise – I want to try and compare this to the Too Faced Sweet Peach palette. I know that a lot of these Western brands can be difficult to access in some countries, or that they may be substantially more expensive than Korean alternatives, so I’d really like to continue exploring some of these ‘dupes’ in the future. There are certainly differences in the shade range (the Too Faced palette has more variation in darker shades and a greater variety of formula/textures) but I personally think that this Glossy Play Palette is still a very great option for those who prefer a lighter, Asian inspired make up style. 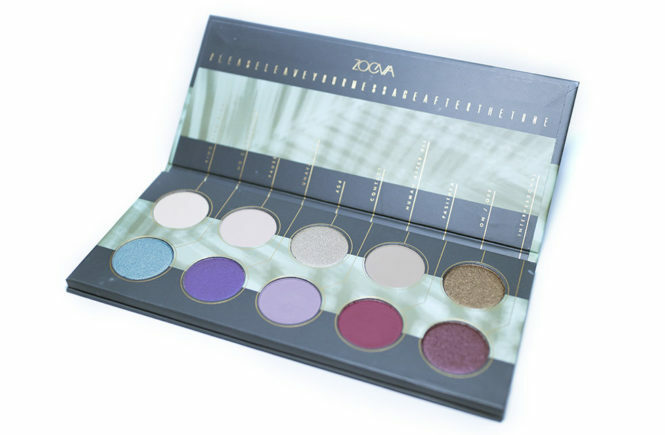 I had this palette gifted to me by StyleKorean to review but it’s unfortunate that they seem to be out of stock now! Hopefully, they will bring in a few more before it completely disappears (since it is a seasonal collection). You can still go to check out other items from the Glossy Play range though. And, here’s on with the review! I have a lot of photos! 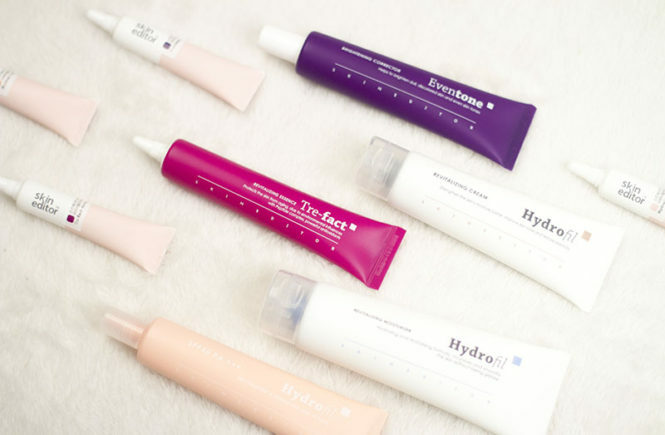 According to the StyleKorean website, Holika Holika was launched in 2010 and, something that is very obvious when you see the plethora of stores in Seoul, they are very successful. They have a very playful and fun image, mostly target a young and trendy audience. Their products are only on a relatively affordable price range but, from what I have tried from them, the quality has been quite good! I would say that I have personally focussed more on their cosmetic range, as I prefer to buy skincare from other brands. I did mention earlier that I have had negative experiences with the brand in-store, and this is something that I say very often. I always avoid the stores in Korea because I find that their staff is especially pushy and make me, as a tourist, very uncomfortable – and sales assistants are often pushy there to begin with. My experience with the brand has been purely through what I’ve bought from stores like StyleKorean to I’m rather late to discovering this collection. A friend of mine did show me it earlier on, but it’s only now that I’ve really looked into it, and they’ve already launched a new seasonal range! Goodness. Anyway, this is the Glossy Play Collection, which is their Spring/Summer collection for 2018 – so I’m only one season late. The theme here seems to be fruity, peach shades with a youthful and vibrant feel. Since some of the collection (like the lip tints) seem to be more satin-y, I feel like this is more a peach toned collection and I’m not entirely sure where the ‘glossy’ part comes in. 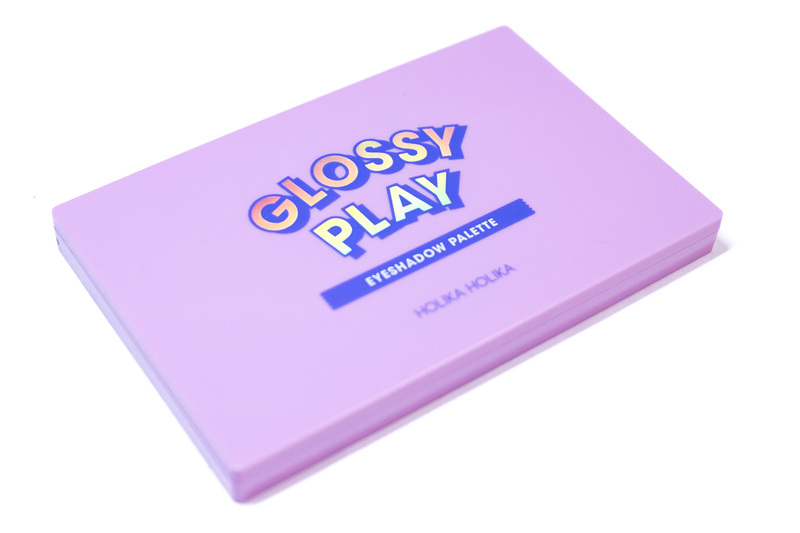 The eyeshadow palette, and the rest of the Glossy Play collection is packaged in purple – with a pinkish lilac and a blue tone purple (will someone please give me a name for it? ), along with a holographic print to accent. 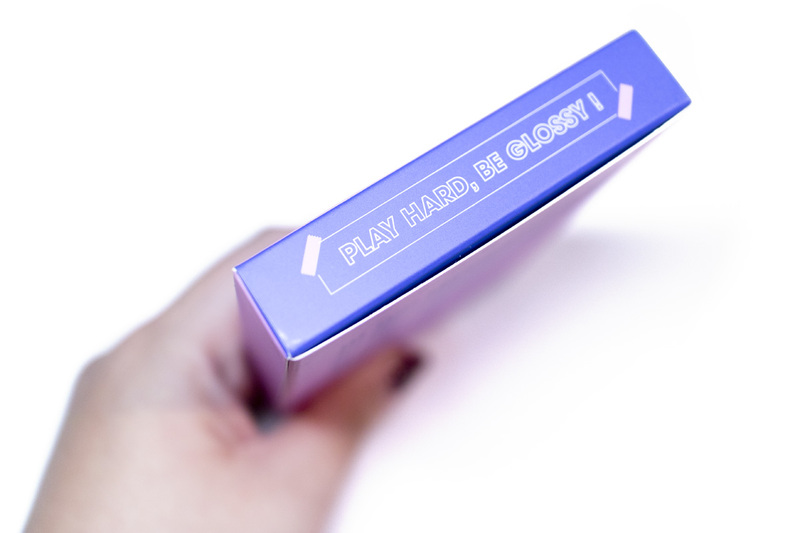 I absolutely love, love, love the packaging and I think that it really suits their audience – it is a decent size (because I’m not a fan of palettes that are too big or too small) and the design of the box and the compact is rather simple, but the pop illustrations give it a lot of character and makes it look fun. If I were to gift this to anyone, I would think that a younger audience would love it best but those up until the mid-twenties (like myself) may also like it too if they are particularly fond of this style. There’s something a bit nostalgic about it because the images – and the typography – looked like refined child’s play (and I mean this in the best way). I love the rollerblading image but, once again, I’m not sure how this collection ties in. The box of this palette also seems to say that I have number 01 ‘Mature Peach’ but I wasn’t aware that there was more than one variation – I will need to clarify this. Opening it up, the case is made of a simple matte plastic. It feels a little bit light and toy-like actually, though I find the quality to be decent. Overall, this palette really looks like children’s make up, but done in a more sophisticated way which – thankfully – makes it more fun than cheap. I can see what they’re trying to do with it and I think that they did it well. 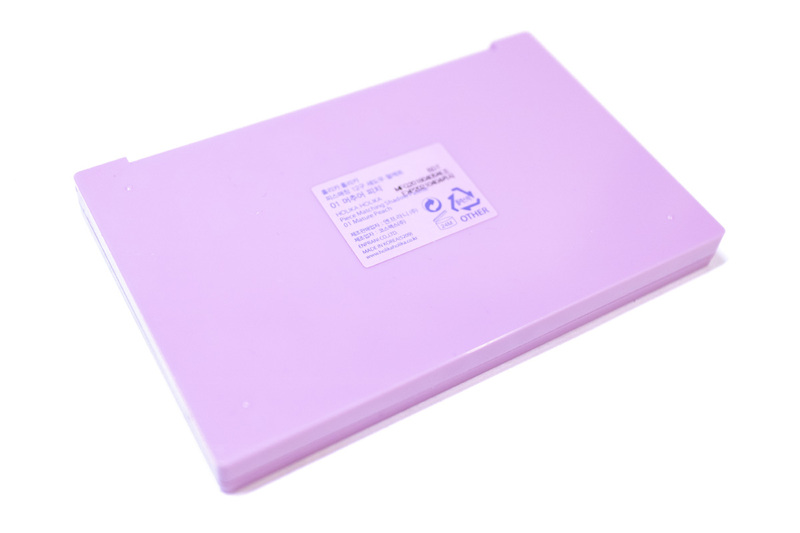 My favourite thing about this palette when you open it up though is that the internal packaging is so simple. I’m personally tired of beauty brands making their mirrors excessively ornate and wasting so much space, which in turn makes these palettes too bulky and not very practical. In this case, simple is really best and this is where the ‘childishness’ of the palette design is balanced out. The internals are very classic and minimal. I like that the shade names are also printed on the bottom which makes it easier to refer back to. The palette has twelve shades, arranged into rows of four – the peach shades, apricot and then the butter shades. For those who are just starting out with make up, this is a great arrangement because you essentially have your entire look panned out for you. 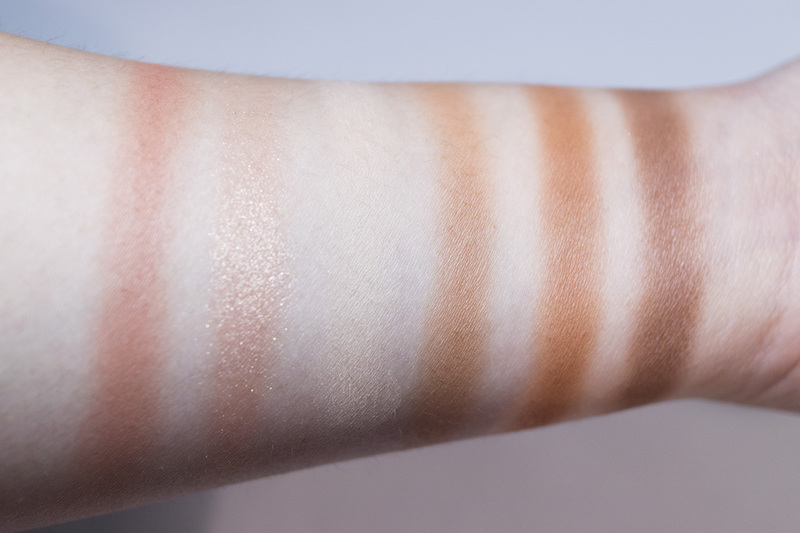 In general, the peach shades are slightly cooler (with a pink undertone), the apricot is more warm and orange, and the butter range is more of a warm-neutral and moves between the brown shades only. The shades vary from light, base shades to medium shades (either brighter colours or muted brown with varying tones) and an accent colour (two shimmers and one dark brown). Looking at it like this, I think that the rows look good viewed that way but the similarity in these tones means that it doesn’t allow for a lot of experimentation. The shade range is definitely better suited for Korean style make up (as it is lighter and a bit more wearable), as those who want to do Western style make up may struggle. It is possible to do a darker, smokier look but you will be very limited on choice. 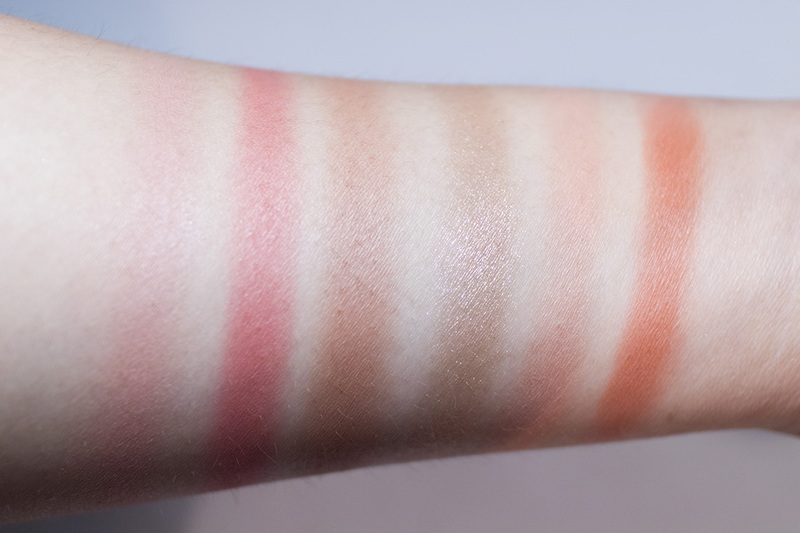 I have the swatches for the shades below but it’s only now that I think back – I should have swatched them in rows! But still, you can see that the colour scheme for all three of the rows are quite different – though I would have much preferred for them to do a red berry row instead of those browns on the bottom row. I also think that they should have swapped out the second medium tone for a darker shade because I have difficulty building up depth with this palette alone. For those who are more interested in a wash of colour or more subtle, daily make up looks though, this is quite pretty! The formulas are very buttery and soft, easy to blend. However, as I had expected from a Korean eyeshadow, the colours are very sheer. For myself, as I like to do darker looks that sit between Western and Korean inspired, I have to use the second ‘mature’ shades to give myself a satisfactory wash of colour. The lightest shades are too sheer for me and, while I can build them up, I’m just too lazy. That being said, the darker matte shades are really nice – they’re still a bit sheerer with pigment, but build up much quicker (as expected, much quicker than a light colour). The longevity of these shadows is also very good. Testing them out without a primer, I could wear this for the entire day (over eight hours) with no fading! The colours only creased slightly in my inner corner when my eyes watered (which is standard for all eye shadows). The two shimmer shades are okay when applied with a finger or a wet brush, but is too sheer when applied dry – I find that the glitter starts to fluff all over. I think that using an eyeshadow primer, or even a concealer to give a slightly tackier base, will help the product to look a lot more intense. 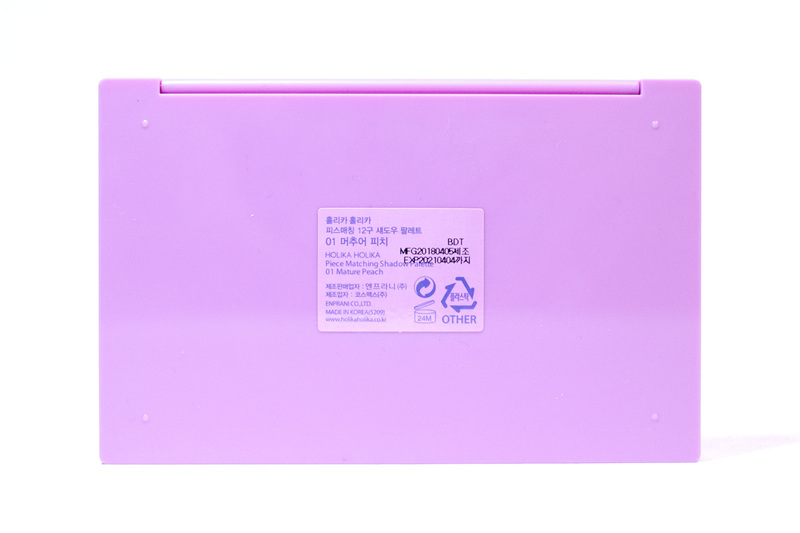 Overall, I did like this palette and it was really easy to use, especially in mornings when I am rushed. Since I like bolder eye shadow looks, I find that this palette is best when I pair it with another Western eyeshadow palette (especially one with more deep tones). As the colours are quite neutral and simple, it’s easy to use alongside mostly everything that I have. It is important to note that this palette does not come with a brush, which doesn’t bother me as I never use them anyway. However, those that don’t have go-to brushes like I do might find this annoying. 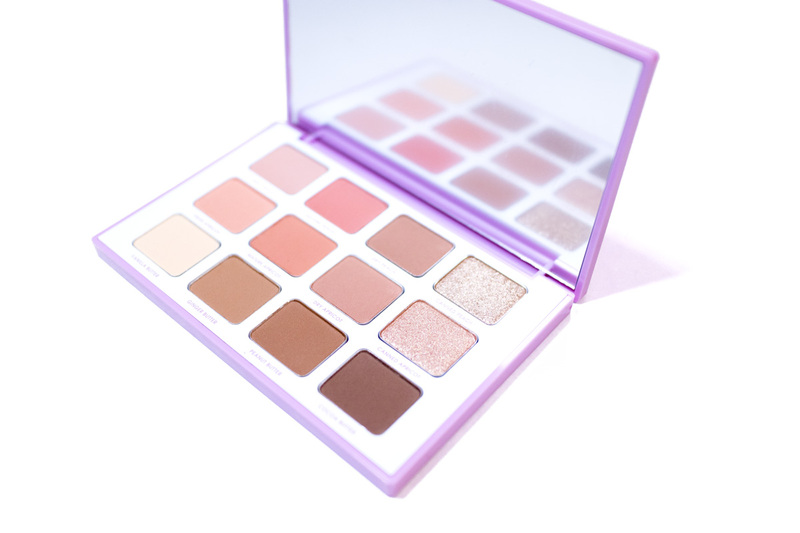 It also means that this palette is more difficult to use as a travel palette or to touch up on the go (although I still do it with my fingers). Personally, this is a much-of-a-muchness to me and I don’t mind. I would rather not have a brush that I will never use. 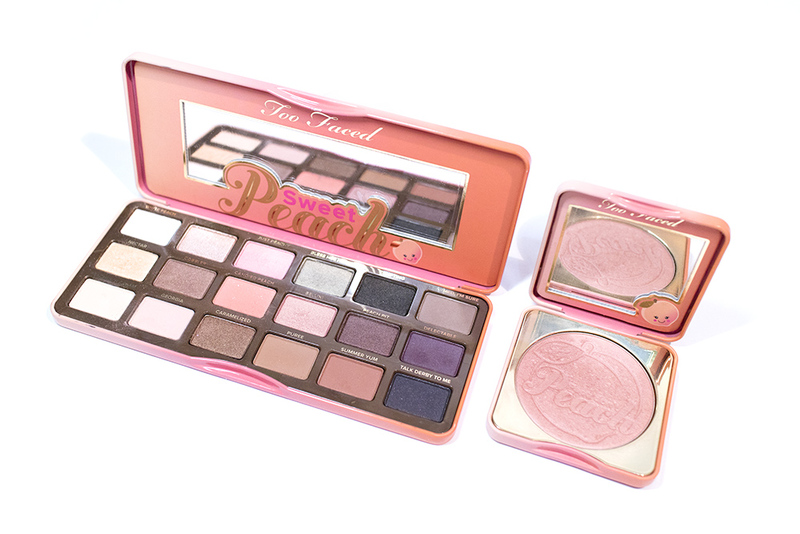 Comparing it to the Too Faced Sweet Peach palette (which is pictured below), you can definitely see that this palette is not an exact dupe. It has a much more restrictive colour palette that is limited to pinks and neutral browns, and it also only has two main formulas – matte and shimmers. However, since they still have a similar theme, the overall shades are easily comparable. As with a lot of Korean eyeshadows, the Glossy Play palette is more sheer but that also means that it is easier to work with. The set up on the shades in the three rows also means that they have essentially put the looks together for you, and you don’t need to worry about it going wrong. On the flip side though, it doesn’t inspire as much creativity. I can see how this Holika Holika palette can be a good alternative for people who like a Korean style of make up. If you are after more soft, natural looks that are simple and beginner friendly, then you will likely get more use out of this Glossy Play palette as opposed to the Too Faced – it is also more budget friendly and, for those who don’t live where Sephora ships, it could also be more easily accessible. And, with all of that, here’s my verdict! Although I still prefer the super pigmentation of Western eyeshadow formulas, I do believe that these sort of blendable, sheer eyeshadows have a place in the beauty world – especially when it comes to Korean eye make up. I also have to applaud that these formulas are very beginner friendly and easy to work with. Regardless of the skill level, you will have no trouble using these. 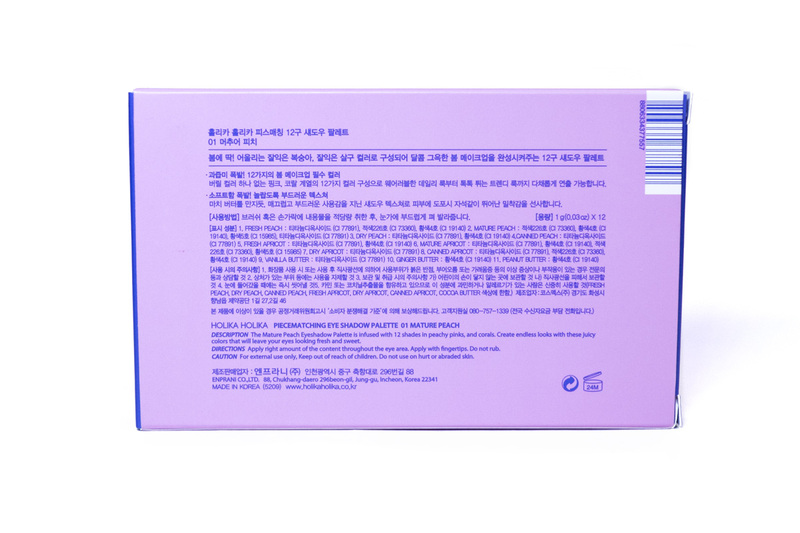 I would be happy to recommend this as a Korean alternative to the Sweet Peach palette. Although the shades are not exact, the colour theme is similar and the formula better suited for softer Korean-style looks. Depending on your own style, either of these palettes will be better suited for you so I would recommend thinking about what you want from your products before choosing. This product was sent to me by StyleKorean and it’s very unfortunate that it’s out of stock by the time that I’m writing this! I would say to google it and find it quickly because this is a limited edition product so it won’t be around forever. That being said, some other products from the Glossy Play collection is still available so check them out! I was also happy with the formula of these shadows, in particular the mattes, so I would suggest looking into other eyeshadows that the brand carries.